It’s nothing personal. I just don’t like a lot of phone calls. Even when I do pick up the phone, I dread being on hold. Being on hold usually means one of two things: elevator music or sheer silence. I’m not alone. We hear similar comments from our Pure Chat customers all the time. One of the key reasons our small business customers love live chat is because it’s often times better than being on the phone. The phone is slow. Sales calls can only be done one-at-a-time. When was the last time you actually wanted a sale rep to call you? It’s likely you only want to talk to a business owner or sales rep exactly when you have a question or need them. Chat on the other hand empowers you, the consumer! When a business provides an easy way to chat, you get the help you need immediately. In addition, chat provides a non-intimidating way to engage because you’re in charge of the conversation. In a 2010 survey, eMarketer found that 43% of 18-24 year-olds say that texting is just as meaningful as an actual conversation with someone over the phone. According to a Pew Research study, the majority of Americans (of all ages) use messaging and the internet more frequently than phone calls. There’s a growing trend around chatting and messaging because it’s quicker and easier (but you already knew that). In Mary Meeker’s 2015 Internet Trends report released last week, she shared that Millennials (or Gen Y) now account for 35% of the work force. 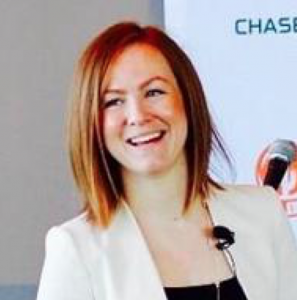 Now that Millennials represent the largest earning power, it’s important for small businesses to connect with them in they way they expect. 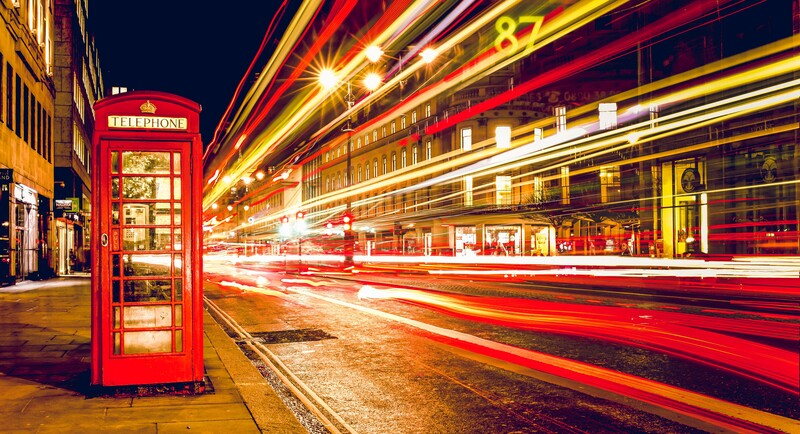 Those small businesses making phone calls or waiting for the phone to ring may be left behind. 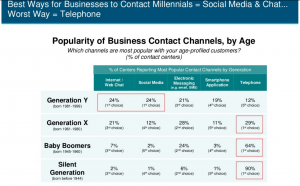 Mary Meeker released her 2016 Internet Trends report and included data that shows Gen Y prefers social media and web chat communication channels. It’s clear that communication preferences are changing dramatically. The rise of Facebook Messenger, WeChat, WhatsApp, Slack etc. 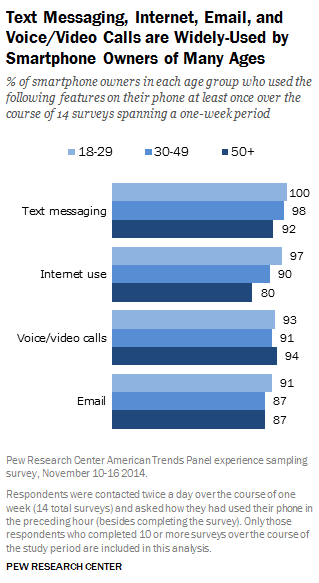 more and more people are accustomed to communicating in short text messages with friends, family and co-workers. This trend is spilling over into business conversations as well. Fortunately, our small business customers are happy about this shift because live chat lets them connect with more than customer at a time. They can provide a seamless experience and maximize their time. Chatting with ten possible customers at once beats being on the phone with one any day! So, while I may not pick up the phone if you call I will definitely chat with you if I have questions when I’m buying something online. But don’t worry, I will pick up the phone when my parents call! Do you prefer chat or messaging to talking on the phone? Why? We want to hear from you. NextEpisode 4: Now You Can Earn Money from Pure Chat! 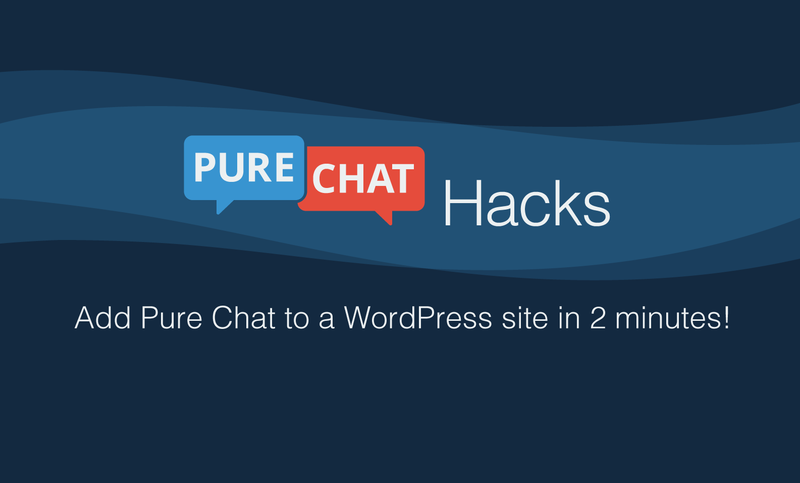 Add Pure Chat to a WordPress site in 2 minutes!